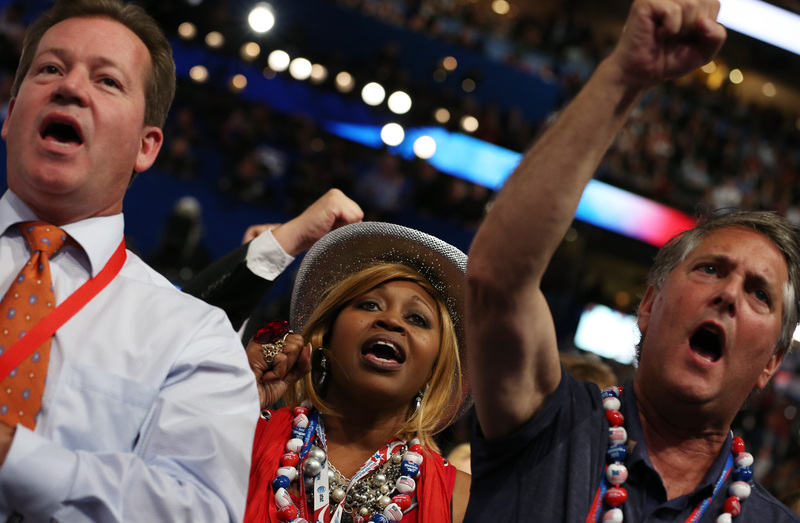 Who gets to be a delegate at the presidential nominating conventions? This July, 2,472 people from across the country will meet in Cleveland to choose the Republican nominee, and a couple of days later, in Philadelphia 4,765 people will formally select the Democratic nominee. These are the delegates, and they're about to become far more interesting and important (at least on the Republican side) to the campaigns than they've been in decades. Each political party has its own rules that govern how these delegates are selected, as do all states and U.S. territories. The rules determine who qualifies to be delegates, how many delegates each state is allotted and how they'll be distributed throughout the primary process. Generally, most delegates of both parties are pledged to a particular candidate. There are also a number who are unpledged; these are considered superdelegates in the Democratic Party and include members of Congress, Democratic governors and members of the Democratic National Committee. They're not bound to a candidate, and they can vote for whichever candidate they want. The process for becoming a delegate differs: in states with primaries, voters directly elect delegates, but in states with caucuses, delegates "are selected at the state convention, which occurs prior to the national convention," Nick Kachiroubas, associate professor at De Paul University, told CBS News. On the Democratic side, states award delegates to candidates proportionally. If a candidate, for instance, receives 50 percent of a vote in a congressional district, he or she would receive half of its delegates. In order to win any delegates, a candidate must win at least 15 percent of the vote. Any registered Democrat is eligible to run to be a delegate. Chris Seelbach, a member of the Cincinnati City Council, is a delegate pledged to support Hillary Clinton. Voters in his congressional district elected him as one of five Clinton delegates at a school gymnasium in January. "I've kind of always been a Hillary supporter, and she's running again this year. I jumped at the chance to try to represent her at the convention," Seelbach said in an interview Thursday with CBS News. As a result of Clinton's victory in Ohio's Democratic primary last week, Seelbach now knows he'll be heading to Philadelphia for his third Democratic National Convention and the second where he'll serve as a delegate. In 2008, he was a delegate for then-Sen. Barack Obama. For Democrats, each state's and territory's delegations are divided equally between men and women and the party has been conducting education, outreach and training programs for potential delegates as early as last September. A candidate needs to win 2,383 delegates in order to win the Democratic nomination. According to CBS News' latest count, Clinton is leading with 1,578 delegates and Bernie Sanders has picked up 817. In order to clinch the GOP nomination, a Republican candidate needs to win 1,237 delegates. So far, Donald Trump has 671, Ted Cruz has 401 and Kasich has 138. Until Tuesday's winner-take-all Republican primaries in Florida and Ohio, the delegates had also been awarded to GOP candidates on a proportional basis. But now that we're past March 15, more winner-take-all primaries are approaching, in New Jersey, Montana, South Dakota, Arizona, Nebraska and Delaware. Some states are proportional but have what's known as a "winner-take-all trigger." So, if a candidate performs really well (often at least a majority), the winner takes all. States with this practice are Idaho, Nevada, Arkansas, Tennessee, Oklahoma, Texas, Michigan, Alabama, Georgia, New York, Vermont and Maine. Under the Republican party's rules, the candidates have little say over who gets to be one of their delegates -- they can select just over a quarter. Republican campaign lawyer Ben Ginsberg recently wrote in Politico Magazine about the process. "[A]bout 73 percent of the delegates--those in 44 of the 56 states and territories--will be chosen by state conventions or executive committees consisting of local activists, volunteers and elected officials." Further, Ginsberg went on to say that the state conventions or committees "may or may not" select people who personally support the candidate they're bound to vote for. Kris Hammond, a civil rights attorney, was elected in last weekend's primary in Washington, D.C. as a delegate to the Republican National Convention. After receiving an endorsement from Kasich, Hammond is pledged to vote for the governor of Ohio when delegates participate in the first ballot vote at the convention, which will be the first one he'll attend as a delegate. Trump on brokered convention: "You'd have riots"
During D.C.'s primary election, Hammond said he distributed cards to voters that conveyed an anti-Trump message and suggested what his plan will be if Republicans are faced with a contested convention. "I had #NeverTrump on the back of my card, but on the front of my card...it said I'm open to supporting all of the other three candidates: Rubio, Kasich, Cruz on the second ballot," Hammond said in an interview with CBS News. "In order to be faithful to what I promised the voters, I need to keep an open mind, really." Rubio dropped out of the race on Tuesday night after losing his home state of Florida. As a contested convention becomes an outright goal for Kasich and other Republicans, the party is reportedly considering rules changes that would allow for greater transparency. There is also some talk about another rule the GOP adopted in 2012 that requires Republican candidates to win a majority of delegates from at least eight states in order to qualify for the nomination. So far, only Trump has met this threshold, winning the majority of delegates in Alabama, Georgia, South Carolina, Tennessee, Massachusetts, Missisippi, Hawaii and the Northern Marianas Islands. If they aren't modified at the RNC's April meeting, those rules could be suddenly changed at the convention. "There's always an option to suspend the current rules," Kachiroubas said. "Now, that would take a majority of the convention delegates to override, but they can even do it at the convention."